Despite massive government “bailouts,” GM says the bulk of its future cars will likely be made in China, Mexico and South Korea…. GM could still face bankruptcy: it owes a report to the Obama administration by June 1st. And Chrysler’s fate is unknown. It is in bankruptcy court now with a deal on the table to include Fiat and others…. Vehicle sales in China jumped 25 percent in April from the year before to a record monthly high of 1.15 million units, according to industry figures. Passenger car sales surged 37 percent over a year earlier, to 831,000, outpacing sales in the United States, where 820,000 units were sold in April. After slowing late last year as the impact from the global financial crisis deepened, China’s auto sales have risen for five consecutive months. Flu: Fear and The Media (Not Great Medical Advice) Sparking Strict New Measures in Mexico? Mexican office workers are being forced to sit six feet apart and cinemas must allow a spare seat either side of each customer as tough new regulations are imposed after the peak of the swine flu outbreak. After a five-day swine flu shutdown, in which Mexico City’s population of 20 million was told to stay at home, life is beginning to return to normal after 42 people died from the virus. Cafes serving sizzling, spicy tacos have reopened their swing doors and schoolchildren returned to their desks. But they had to contend with tough new rules to limit infections of the H1N1 virus. Restaurants could only seat 50 per cent of their capacity and all staff, from waitresses to cashiers, had to wear surgical facemasks, while office-based companies were urged not to have meetings. In theatres and cinemas, not only did a spare seat have to be allowed for on each side of a customer, but also in the rows in front and behind. Some of the new rules signalled marked improvements. In the normally grimy subway system, cleaners in blue overalls rushed around cleaning everything from train seats to ticket machines and offering customers hand-cleaning gel. But Mercurio Cruz, the manager of an Argentine-style steak house, said that losing half of his customers will annihilate his profits. With both industry and tourism hard hit, Mexico’s finance minister has estimated losses from swine flu and its consequences at $2.3 billion (£1.5 billion). Why so many flu deaths in Mexico? Lack of trust in government is a big factor…. Researchers will likely be asking for years why this last flu outbreak resulted in so many deaths in Mexico. Trust in the government health system is already paramount as one factor. Ask Mexicans about government health care and they’ll tell you: the service is erratic, undependable and often results in a total loss of trust among the people: especially the poor and weak who are most at risk. In seeking answers to the flu deaths in mexico, the New York Times sent Marc Lacey and Elisabeth Malkin to find answers. “At overcrowded public facilities, they complain, they are often turned away, treated by indifferent doctors or made to wait endlessly,” they wrote. These are the same complaints heard in Canada and Britain — where the government runs health care. That is my experience with health services in Mexico — and canada and the UK. There are lots of other reasons too why the health system is not acceptable in Mexico…. Like 30,000 or more schools without running water, a culture that favors home remedies and over the counter or herbal medicines and other factors. But often the overcrowded state run system and a lack of public trust holds real improvements in health care back in Mexico….. Flu Probably Past Worst Point: Big Government Saved Us? Not! Does anybody get the feeling even without Joe Biden, Janet Napolitano and other government “experts” the flu we just went through would have been, well, the flu we just went through? MEXICO CITY, May 3 (Reuters) – Mexico announced on Sunday that its swine flu epidemic has passed the worst and experts said the new H1N1 virus might be no more severe than normal flu, although it could still impact on world health. Mexican Health Minister Jose Angel Cordova said the flu was easing but warned that it was too early for Mexico — the epicenter of an outbreak that has spread to 19 countries — to let down its guard. The outbreak of H1N1 flu appeared to have peaked in Mexico between April 23 and 28 and fewer people had admitted themselves to hospitals with serious flu symptoms in the past few days, Cordova said. “The evolution of the epidemic is now in its phase of descent,” he told a news conference in Mexico City, where millions of people heeded government advice to stay at home. 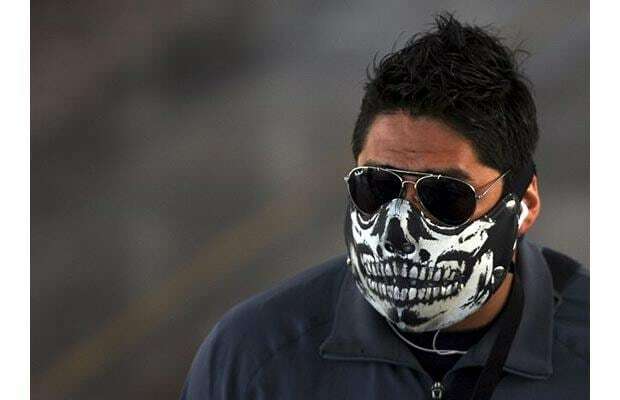 “There is evidence that we are going downward.” MEXICO CITY, May 3 (Reuters) – Mexico announced on Sunday that its swine flu epidemic has passed the worst and experts said the new H1N1 virus might be no more severe than normal flu, although it could still impact on world health. WHO: You Can All Worry More As It Might Be BACK! The head of the World Health Organisation hit back at critics who have accused it of over-reaction to the swine flu crisis, warning it may return “with a vengeance” in the months ahead. In her first extensive media interview since alerting the world to a potential flu pandemic nine days ago, Margaret Chan, the agency’s director-general, told the Financial Times that the end of the flu season in the northern hemisphere meant an initial outbreak could be milder but then a second wave more lethal, as happened in 1918. Some Americans look toward Canada, Britain and other nations as glowing examples of government health care making life better. But the advocates of not nationalizing health care go to these very nations to ask doctors and those that feel wronged by the government systems to give their opinions — always negative. And the Brits are now discussing a 50% tax for top earners to pay for health care and the other parts of their system…. Then we have the H1N1 flu: which might actually be a relatively normal flu and not one needing too much government intervention. The noise of all the government crowing about the flu has actually, as far as we can tell, fueled not wisdom in health care but over reaction — which might be not helping and which could even prevent the government from being effective in a real emergency. The face of the government response became Janet “watch out for veterans and Canadians” Napolitano — because Team Obama couldn’t come up with a Health Secretary who had paid his or her taxes before the flu hit….usually the flu doesn’t hit until autumn so this is understandable…. One student gets sick and the school closes for two weeks? One passenger gets sick and the aircraft is diverted? Please. But our government kept the border with Mexico open and told border guards not to wear masks — looks too unfriendly. I mean, who will listen to Joe Biden next time? He told his family (and the nation) to stay off the train — then took the train home the very next day. Mexico has taken an economic hit for the flu, and many will say rightly so. Mexico has the most flu related deaths — maybe all the flu related deaths. But it might be that Mexico needs better health care and not more “help” from outsiders. China told people not to go to Mexico and Mexico told people not to go to China — so there. One wonders how many Mexicans go on holiday in China anyway — with Cinco de Mayo and the USA so near. Maybe we should try out nationalized health care in Mexico. I’m just not sure I want Joe Biden, Janet Napolitano and the others who gave us this particular flu emergency to solve the more general problem….. The United States’ only death this year from the virus was a 22-month-old boy in Texas who was visiting from Mexico. “We have people without symptoms going into the emergency rooms asking to be screened for swine flu at the expense of people with real illness,” said Cathy Gichema, a nurse in Pikesville, Maryland. “Schools are being shut for probable causes – sending these kids congregating to the malls. How is that helping,” Gichema said. Dr. Mark Bell, principal of Emergent Medical Associates, which operates 18 emergency departments in Southern California, said the level of fear is unprecedented. Mexico on Saturday accused Beijing of discrimination against its citizens and advised them to avoid China after a Hong Kong hotel was sealed off following confirmation a Mexican guest had the new flu virus. Mexican Foreign Minister Patricia Espinosa also condemned China and four Latin American countries for restricting flights from Mexico, the epicenter of an H1N1 flu outbreak that the World Health Organization fears may become a global pandemic. At a news conference, Espinosa criticized authorities in Hong Kong for quarantining the Metropark Hotel on Friday after test results showed the 25-year-old Mexican guest was infected with the virus. Mexico on Saturday accused Beijing of discrimination against its citizens and advised them to avoid China after a Hong Kong hotel was sealed off following confirmation a Mexican guest had the new flu virus. At a news conference, Espinosa criticized authorities in Hong Kong for quarantining the Metropark Hotel on Friday after test results showed the 25-year-old Mexican guest was infected with the virus. Health experts walked a tightrope Sunday, unsure whether the swine flu epidemic was starting to fizzle out or was just in a lull before another surge. Germany reported two more confirmed cases, and Hong Kong kept 350 people under quarantine in a downtown hotel as a precaution. Obama Flu: Hand Washing to Hand Wringing? There’s a fine line at the White House between hand-washing and hand-wringing. When it comes to swine flu, President Barack Obama is trying to strike the right balance between protecting public and economic health. That’s resulted in some doublespeak and spin, evidence of the inextricable ties between a looming epidemic and a listing economy. Obama has been out front in urging people to wash their hands, cover their mouths while coughing and stay home if sick. Still, there’s been a lot of anxious backing and filling going on behind him. Overreact to the swine flu scare and risk being accused of misspending public money and frightening consumers and travelers during the worst recession most Americans have endured. Underreact and take the chance of looking indecisive and out of touch if the outbreak turns into a deadly pandemic — now or in a possible rebound in the fall. Former President George W. Bush learned that lesson the hard way with Hurricane Katrina. Even what it’s called has political and economic overtones. Say it’s swine flu and alienate hog farmers and pork processors. They note, correctly, that it can’t be acquired by eating pork products. The term also inflames Muslim and Jewish sensitivities over pork. Call it the “Mexican flu,” as Canadian Prime Minister Stephen Harper has done, and Mexicans are offended. The threat of a global pandemic forced the federal government to take aggressive steps against the so-called swine flu this week, despite uncertainty about how potent or deadly it may be, President Barack Obama said in his Saturday radio and Internet address. It was a surprise change in topic. A White House aide told POLITICO Friday that the president planned to talk about education. The week, however, was dominated by the spread of the H1N1 virus across the country and the world. Some of the coverage has focused on whether health officials have overreacted to a strain that might turn out to be less threatening the seasonal flu, and so far hasn’t proven fatal in the U.S., like it has in Mexico. “We cannot know for certain why that is, which is why we are taking all necessary precautions in the event that the virus does turn into something worse,” Obama said. The administration has released a quarter of the 50 million courses of antiviral treatments in the Strategic National Stockpile, and requested $1.5 billion from Congress to purchase additional antivirals and develop a vaccine, Obama said. Was This Flu Panic Necessary? Mutation Costing a Fortune. Will U.S. Taxpayer Bail Out Mexico? This mutation is costing a fortune. In Mexico City alone, the mayor, Marcelo Ebrard, has put the figure at $88m (£59m) a day. But how much will swine flu hit the wider Mexican economy? Tourism, which represents 8% of Mexico’s gross domestic product (GDP), is the sector which will inevitably be hardest hit. In the current environment, most people see little incentive to visit Mexico, and plenty of reason to leave. The Mexican government has lobbied hard behind the scenes to prevent its borders being closed, or any formal quarantine being imposed. But other governments and airlines are beginning to apply their own restrictions. Cancun tourism official told us hotel bookings are down 30%. In the U.S., schools have been closed, airline flights cancelled or disrupted, and generally caution is in the wind. But our caution is Mexico’s panic. Joe Biden really didn’t help when he suggested that people curtail travel…. The Obama-Biden government needs to know: sometimes just saying nothing is the preferred route…. And what will be the reaction of people next time? How many times can we yell “flu” and expect anyone to react? Can Biden Be Right? Is The Flu A Real Crisis? Or Are We Caught with an Obama Government-Media Crisis? May 1 (Bloomberg) — As Mexican authorities report that the rate of swine flu infection is slowing, doctors in Mexico City say residents are more scared than they need to be. Guillermo Velazquez, a pulmonary doctor in the respiratory wing of the General Hospital of Mexico in Mexico City, takes calls every 15 minutes from patients worried they have swine flu. He has had 150 consultations in the past week, a volume that he says is 30 percent higher than usual. Only four of those patients are suspected of having the illness, and none of the cases have been confirmed, he said. “No, no, it’s not transmitted by an insect. Just stay away from crowds and people who sneeze,” Velazquez, 54, says to one patient on the phone. Minutes later, another woman calls asking if her itchy palate means she has swine flu. “There’s a generalized psychosis here,” Velazquez says after hanging up. Health Minister Jose Cordova announced yesterday that there was a “progressive decline” in the number of new cases of swine flu, which is responsible for 15 confirmed deaths and 343 nonfatal cases. The number of suspected new cases of the illness per day fell to 46 yesterday from 212 on April 20, Cordova said. Still, residents are fleeing the capital, storming supermarkets to stock up on food and donning surgical gloves and masks to drive alone in their cars. “There’s fear in society,” Francisco Navarro, director general of the General Hospital, the country’s largest, said in an interview. “People think that if they have the flu they’ll die.” According to Navarro, the number of patients Mexico City’s General Hospital hospitalized has actually fallen this week. The World Health Organization and other authorities expect the number of confirmed worldwide cases, currently at 331, to grow. Mexican scientists say the number of confirmed cases in Mexico may rise as the country’s testing improves. The WHO raised its six-tier pandemic alert to 5, bringing it closer to declaring the first influenza pandemic since 1968. MEXICO CITY, May 1 (Reuters) – China sent medical supplies to Mexico to help fight a flu epidemic that has killed up to 176 people, and more aid will be arriving next week, China’s Ambassador to Mexico Yin Hengmin said. The $3 million shipment arrived by plane on Friday and included millions of protective masks and 80 infrared scanners that can be used to detect fever in travelers as they pass through airports and bus stations. The number of new cases of the H1N1 swine flu virus emerging in Mexico appeared to be falling, Mexican Health Minister Jose Angel Cordova said on Friday. However, in Mexico City, many offices and businesses were closed for a five-day break to help slow the spread of the new flu stain. Mexico has been hardest hit by the virus now confirmed in 13 countries. The World Health Organization has said it would call the new virus strain Influenza A (H1N1), not “swine flu,” since is no evidence that pigs have the virus or can transmit it to humans. An Air China cargo plane arrives at the Mexico City airport with aid for Mexico on Friday May 1, 2009. China has sent aid to Mexico to deal with its efforts against the swine flu outbreak. All Knowing, All Present, Obama (and Global) Government? Today, President Barack Obama’s 100th day as president, we witnessed a media blitz of talk and yak. Like spend and tax, talk and yak has been the course of action for 100 days. Tomorrow, the president will announce the bankruptcy of Chrysler and the rescue by Fiat. Why is the U.S. president making this announcement? Because he can — after he fired the head of GM and now runs the auto industry (and the banks and the mortgage industry and has strong armed the credit card industry). Citi actually asked for the government’s permission to pay bonuses…. Does anyone but me have the feeling that George Orwell’s shadow is spreading rather quickly across the American landscape? Or is that the shadow of the president’s jet? Either way: run for your life! And in the midst of the Obama media blitz we have the flu fear. O.K., we know it is new, a new strain, but it is the flu: something mankind has been dealing with before governments were invented. We know that in a “normal” U.S. flu season about 200,00 Americans go to the hospital and 36,000 Americans succumb and die. But isn’t this springtime and thus the flu will be more mild? Even a new strain, in all likelihood? And who has a handle on all this? Why, WHO — global good government. And who is in the most pain? Mexico: which could tank economically (even further) due to the bad publicity. And who owns Mexico’s debt? Well, the U.S., mostly. But we get the cash from China — on loan. We believe in smaller government not all government all the time and in all sectors of life: which is where we appear to be headed….And fast. And on the foreign policy front there are already indications that the sun will set on the American superpower quicker than any other superpower has ever before been eclipsed. China now owns the bulk of the U.S. debt, has huge cash reserves, is buying and holding (hoarding) gold, oil and other resources, is rearming militarily and doesn’t give a hoot about carbon or coal or oil ills in the environment. While we are disarming, converting our economy from high paying jobs to windmills, and ramping up government to pay all the health care and education bills there are…. Who will pay and how? We are going to destroy Wall Street if the last 100 days are any indication — and take away the corporate jets and hair spray from guys like Donald trump. In Germany this year, being a creator of wealth became so unpopular that limos were firebombed….. So who will pay if the non-taxpaying portion of our society continues to flourish with free healthcare and “tax breaks”? Taxes will go up, especially for anyone smart enough to make some money: just as they did in Britain where they are on the 50% ledge….which causes people NOT to want to make money. I don’t need CNBC to tell me that: the Tea Bag folks got it right (and the president made fun of them today). I’m not celebrating this 100 days, even though it means 7% of the Obama talk-a-thon may be over. I’m worried about the future…. WASHINGTON (AP) – “That wasn’t me,” President Barack Obama said on his 100th day in office, disclaiming responsibility for the huge budget deficit waiting for him on Day One. It actually was him – and the other Democrats controlling Congress the previous two years – who shaped a budget so out of balance. And as a presidential candidate and president-elect, he backed the twilight Bush-era stimulus plan that made the deficit deeper, all before he took over and promoted spending plans that have made it much deeper still. Obama met citizens at an Arnold, Mo., high school Wednesday in advance of his prime-time news conference. Both forums were a platform to review his progress at the 100-day mark and look ahead. In 1994, when Republicans won control of the House for the first time in 40 years, they pledged in their famous Contract With America to take up 10 measures and pass them within the first 100 days. Then-House Speaker Newt Gingrich (R-Ga.) got his inspiration for a 100 days timeline from Franklin D. Roosevelt. FDR’s New Deal program, passed in the depths of the Depression, truly changed the face of American capitalism. In those first 100 days, FDR passed the National Recovery Administration, the Rural Electrification Act, the Public Works Administration, the Agricultural Adjustment Act and 11 other pieces of major legislation. President Barack Obama has allowed (and perhaps encouraged) the press to think of his election as similar to that of Roosevelt. From consciously invoking the Great Depression as a way to encourage more government intervention in the private sector to hinting that his new coalition will dominate politics much like FDR’s did, Obama has done almost everything except to smoke in public to show himself as the new Roosevelt. But what has the Obama White House really achieved in its first 100 days? Well, he did pass a stimulus bill that was largely negotiated and completed before he got into office. It got no Republican votes in the House and only three in the Senate. He signed a spending bill that was completely last year’s business. (It even had earmarks from Obama, his chief of staff and other members of his Cabinet from their time in Congress.) He signed a children’s health care bill that was largely unchanged from legislation that was vetoed by President George W. Bush. He appointed a treasury secretary who didn’t pay his taxes, he tried to appoint a Health and Human Services secretary who didn’t pay his taxes, and he decided not to appoint a government accountability czar who didn’t pay her taxes. He also visited with Jay Leno. He did very well on his NCAA college basketball pool. He fired the CEO of General Motors. He appeared on “60 Minutes” a couple of times. He went to a Bulls-Wizards game. He got a dog. His wife planted a garden. There are just too many dichotomies in some people to allow me to swallow their mantra. Obama objects to waterboarding, which may have saved America from new terror attacks. Yet he happily agrees to the execution of three Somali pirates that only wanted money and had a record of never, ever harming a hostage in the past. He says he is the great communicator and even told Harry Reid he has a “gift,” yet he needs a telepromter to get through the most simple White House pronouncement — and he has even gotten lost using the telepromter. He wants to create jobs but rushes through a “stimulus” that Nancy Pelosi’s crowd crafted — oblivious or uncaring that much of it has nothing to do with jobs. And he promises sweeping health care reform but has again given responsibility for the details to Pelosi…. He is against earmarks but signed a bill in secret to hide his own gross permission to allow their continued use…. He rose from a broken home and was raised by grandparents who could have easily turned their backs on him yet he endorses abortion: the gravest way any family can turn its back on a new or unwanted addition. He represents all that’s great about America yet he grovels before all that blame America for much about everything. While embracing allies he seems unaware that he is neglecting and causing worry for life-long allies like Israel. He is all about ending carbon and then flies to Iowa on Earth Day in his carbon producing jet — then loses track of the jet fleet entirely and scares New Yorkers at a cost of tons of more carbon and close to $1 million dollars. On Earth Day Obama’s windmill plant with just 900 jobs had once produced washers and driers and 4,000 jobs — then one quarter of the Iowa town’s work force. He visited Mexico and came home with no new plan for drug enforcement, border patrols, immigration or guns. Yet the Mexican swine flu is cause for alarm. Frankly, Mexican drug gangs kill more Americans each year than the Black Plague ever could…. He participated in the “papering over” of Jesus at Georgetown…. With Obama there are too many dichotomies for me which causes me worry. And with our economy we need a dose of reality: not the mirage that endless borrowing won’t cause problems later…. Our final dichotomy is the way the White House has handled day 100: is it a “Hallmark Moment” for meaningless greeting cards, as Robert Gibbs suggested, or is it a media circus as the White House seems to be making it? Hey Obama: Difficult To Make a Proper Defense While Bent Over Backward? Is Any System Or Party “Dead” Because of Corruption? Or is Corruption With Us Always? Is Our Treasury and Economy Now Overly Corrupted By Politics? How Bad Really is This Mexican Swine Flu? The outbreak of the Severe Acute Respiratory Syndrome (SARS) began in China in Novemebr 2002. By June, 2003, the World Health Organization (WHO) reported a cumulative total of 8,450 probable SARS cases and 810 reported from 29 countries. In the current swine flu outbreak, 149 people have died in Mexico and the outbreak has not proven to be very severe in other areas. When the WHO and the U.S. government tells you to wash your hands, you are probably not dealing with an imminent disease disaster…. Also, Secretary Napolitano of DHS said during a “normal” flu cycle in the U.S. we can expect 35,000 deaths from the flu…. It seems to us here at Peace and Freedom that people of the United States are growing more and more comfortable with a “nanny state” that solves all their problems and gives them all they need to know via TV and the Internet. This seems dangerous and Orwellian to us…. In 1976, President Gerald Ford orders a nationwide vaccination program to prevent a swine-flu epidemic. Ford was acting on the advice of medical experts, who believed they were dealing with a virus potentially as deadly as the one that caused the 1918 Spanish influenza pandemic. The virus surfaced in February at Fort Dix, New Jersey, where 19-year-old Pvt. David Lewis told his drill instructor that he felt tired and weak, although not sick enough to skip a training hike. Lewis was dead with 24 hours. The autopsy revealed that Lewis had been killed by “swine flu,” an influenza virus originating in pigs. By then several other soldiers had been hospitalized with symptoms. Government doctors became alarmed when they discovered that at least 500 soldiers on the base were infected without becoming ill. It recalled 1918, when infected soldiers returning from the trenches of World War I triggered a contagion that spread quickly around the world, killing at least 20 million people. Fearing another plague, the nation’s health officials urged Ford to authorize a mass inoculation program aimed at reaching every man, woman and child. He did, to the tune of $135 million ($500 million in today’s money). Mass vaccinations started in October, but within weeks reports started coming in of people developing Guillain-Barré syndrome, a paralyzing nerve disease, right after taking the shot. Within two months, 500 people were affected, and more than 30 died. Amid a rising uproar and growing public reluctance to risk the shot, federal officials abruptly canceled the program Dec. 16. In the end, 40 million Americans were inoculated, and there was no epidemic. A later, more technically advanced examination of the virus revealed that it was nowhere near as deadly as the 1918 influenza virus. The only recorded fatality from swine flu itself was the unfortunate Pvt. Lewis. History’s verdict of the program is mixed. Critics assail Ford, accusing him of grandstanding during an election year — it did him no good, because he lost anyway — while kowtowing to the pharmaceutical companies. Supporters laud the ability of the nation’s health bureaucracy to mobilize so effectively. Those who remembered 1918 probably consider it money well spent. The World Health Organisation is not recommending travel restrictions and border closures to fight swine flu, a spokesman said on Tuesday. Infected people may not show symptoms at the airport or when they reach a border crossing, so travel limitations like those imposed during the SARS outbreak are ineffective, spokesman Gregory Hartl said. “Border controls don’t work. Screening doesn’t work,” he told a news conference, describing the economically-damaging travel bans as basically pointless in public health terms. Still, the WHO is urging people to think twice before travelling to and from affected areas, and to avoid crowds and public transport in the presence of any flu-like symptoms. “Certainly if you feel that you are ill you should not travel, in any case, to anywhere,” Hartl said. Up to 149 people in Mexico have died of the new swine flu virus known as H1N1, which has caused milder symptoms in other countries including the United States, Canada, Spain, Britain, Israel, and New Zealand. “We don’t understand why the disease has been more severe in Mexico,” Hartl said. The first victims may not have recognised they were infected with a new type of flu requiring different treatment than normal seasonal flu, they may not have received the required medicines until late, or they may have been infected with other diseases reducing their immunity to the virus, he suggested. All transmission of the disease so far appears to have been human-to-human and not from animal or other contact, according to the WHO. The WHO does not yet know where the outbreak started from. You are currently browsing the archives for the Mexico category.